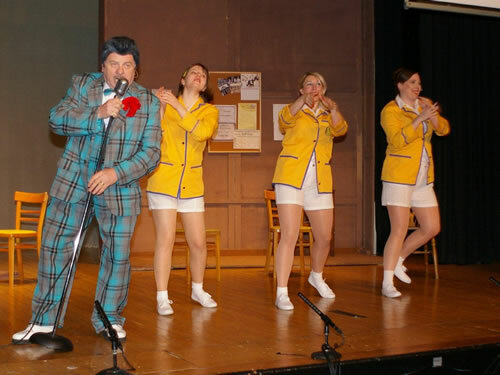 The stage play Hi-De-Hi! 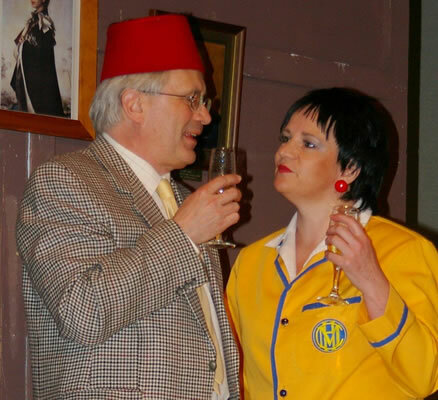 Is based on the BBC comedy from the 1980s TV series. 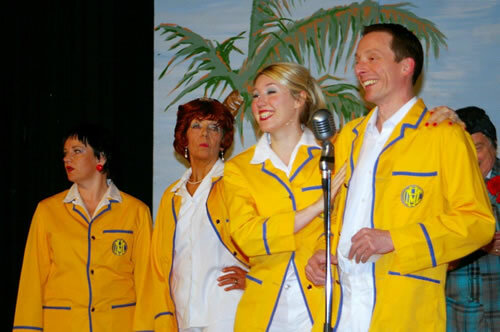 Set in a holiday camp in the 1950s it features the much loved characters of Jeffery, Gladys, Peggy, Ted, Spike and gang and, of course, the glamorous yellowcoats! 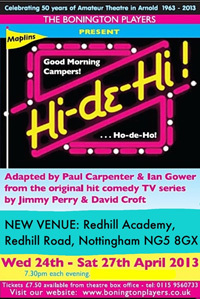 The audience is guaranteed an evening of laughs, songs, dance and above all entertainment ‘Holiday Camp’ style. 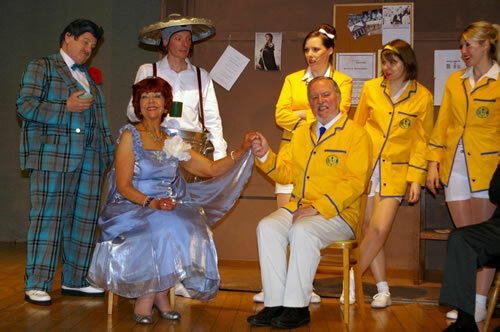 Come along and enjoy a nostalgic fun evening and discover whether Peggy gets to achieve her dream of becoming a yellowcoat! Ho-de-Ho!